Getting lost in back-country Virginia is a blast. It's old enough country that almost every crossing of two roads has some type of history attached to it. "Little more than a wide spot in the road", says the Explore Scott County website, and standing in the middle of that wide spot it's hard to argue with the description. But wouldn't you know it, Johnny Cash's last public performance was at the Carter Family Fold in Hiltons. And the Fulkerson-Hilton house, on the National Register of Historic Places, sits right outside town. "Hiltons is little more than a wide spot in the road, yet every Saturday night at 7:30, the hills and hollers come alive with old-time and bluegrass music. 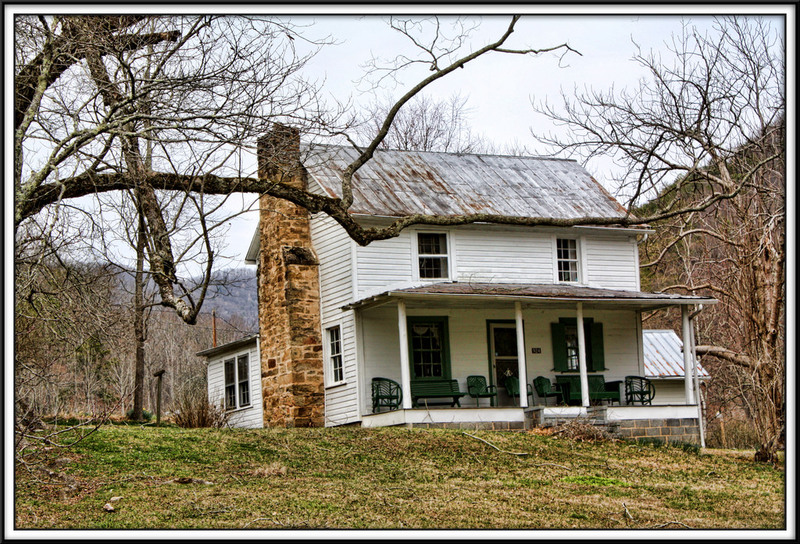 Thousands of people from around the world pour into this tiny town to visit the world-famous Carter Family Fold and hear the music made famous by The Carter Family– A.P., Sara, and Mother Maybelle. The town itself houses a school and two gas stations, as well as access to paddling and fishing opportunities in the lazy North Fork of the Holston River that flows nearby. The town is located along U.S. highway 58, which winds all the way to Virginia Beach, providing many miles of scenic travel on what was once an important transportation route." 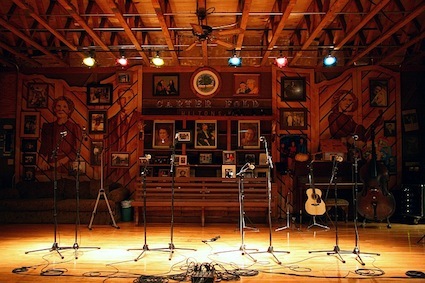 "The Carter Family Memorial Music Center, a non-profit organization, serves fans and supporters of old-time country and folk music through the presentation of weekly performances at the Carter Family Fold, in Hiltons, Virginia. It also honors the memory of the first family of country music, the legendary Carter Family (A.P. Carter, Sara Carter, and Maybelle Carter), whose first recordings (in 1927) are credited with giving birth to the commercial country music industry. The Carter Family Memorial Music Center was founded by Janette Carter, daughter of A.P. and Sara, who with Sara's cousin Maybelle, comprised the original Carter Family. The Carter Family Memorial Music Center is directed by Rita Forrester, daughter of Janette Carter." Historic house built around the turn of the 19th century and showing a 1949 kitchen and dining room addition. The house is listed on the National Register of Historic Places.